We hand make our own sturdy log stores. 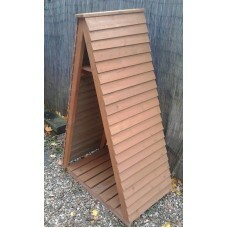 Do you want a log store made to your exact specifications? Give us a call to discuss and we can make a log store of any shape, size and design to fit in perfectly with your property. 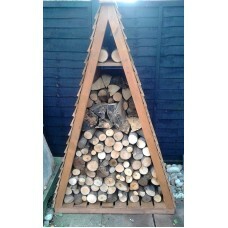 We are a small family run coal & log merchant delivering throughout Kent. 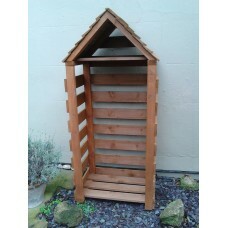 Hand Made Slim Log Store with Apex Roof - Fully Stocked2 Foot Base x 5 Feet High x 18 Inches Deep&nb..
Hand Made Slim Log Store with Apex Roof 2 Foot Base x 5 Feet High x 18 Inches Deep Compart..
Hand Made Triangular Log Store with Kindling Cubby 3 Feet 6 Inch Base x 6 Feet Sides x 2 Feet D..
Hand Made Triangular Log Store with Kindling Cubby Supplied full with logs and kindling wood.&n..